Australian Boxing mainstay Tony Tolj has a massive couple of months ahead of him, with Tolj’s Dragon Fire Boxing looking to take Australian Boxing to new heights. Tolj has been a massive part of Australian boxing for decades, having managed and promoted one of the best Pound for Pound fighters in recent times, 2 weight WBA World Champion Chris John. Tolj discussed his experiences working with the Indonesian legend. The Perth based Promoter/Manager said, “Working with Chris John was an unbelievable experience. He would come in from Indonesia, train and live in the gym and would just spend his days sitting in his room studying boxing. “Chris is a very humble guy who went on to achieve greatness and guiding his ascent to becoming World Featherweight and Super Featherweight World Champion is possibly my biggest accomplishment in boxing. Tolj is now looking after the new breed of Australian Boxers that include the talented Moloney twins, Jason and Andrew. The Dragon Fire Promotions chief opened up regarding the highly rated pair. He said, “Jason Moloney will be looking to bounce back in style after the World Boxing Super Series. We felt he won that fight, as did most people watching, and he will be looking to move back into contention to box for the World title. 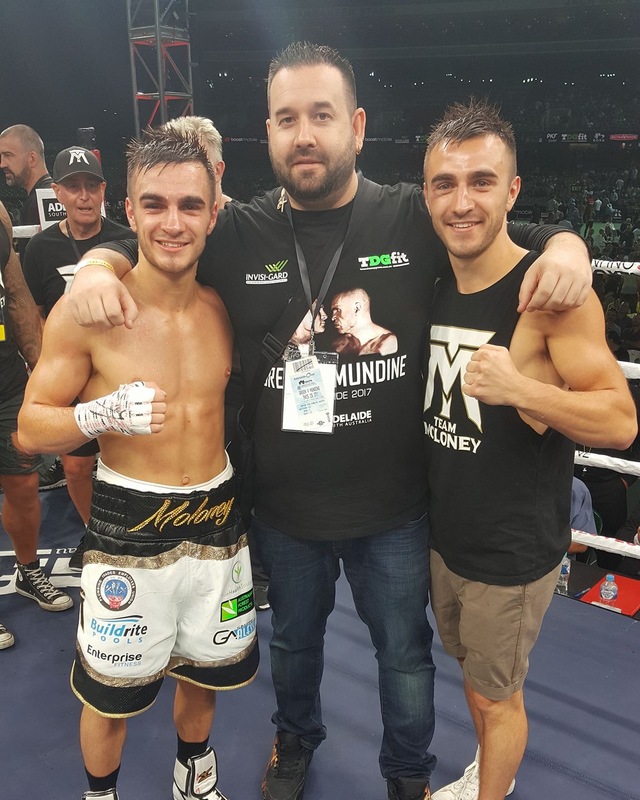 Tolj continued, “Andrew Moloney will be contesting a WBA World Super Flyweight title eliminator in Chile against Miguel Gonzalez. I’m very confident that Andrew will get the victory and continue to look devastating whilst doing it. Dragon Fire Promotions have been putting on shows in the Southern Hemisphere for over a decade, with some of the best fighters to come out of the Australasian region having being showcased on Dragon Fire cards. Tolj gave his take on what fight fans can expect from the Dragon Fire shows. He said, “One thing with our shows is you always get good fights. Our philosophy is to build fighters the right way by testing them in every fight. You always see good competitive fights on our shows.